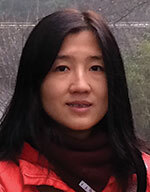 Wei Qiu is an instructional designer and adjunct faculty at Webster University. She received a Ph.D. in Educational Psychology and Educational Technology from Michigan State University. Her research interests include using technology to enhance students’ learning experience, second language education, and global competency development.